I am a Baptist Detroiter who was born in 1957 and have been married to my wife Shonda since 1982. I have been blessed with my son, Kwame an my daughter Kanika. 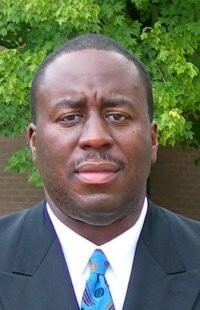 I am a graduate of Chadsey High School in 1975, and attended Wayne County Community College District. I have donated my time, skills and earnings to numerous charities such as my Church and Brass Roots (member since it was formed). 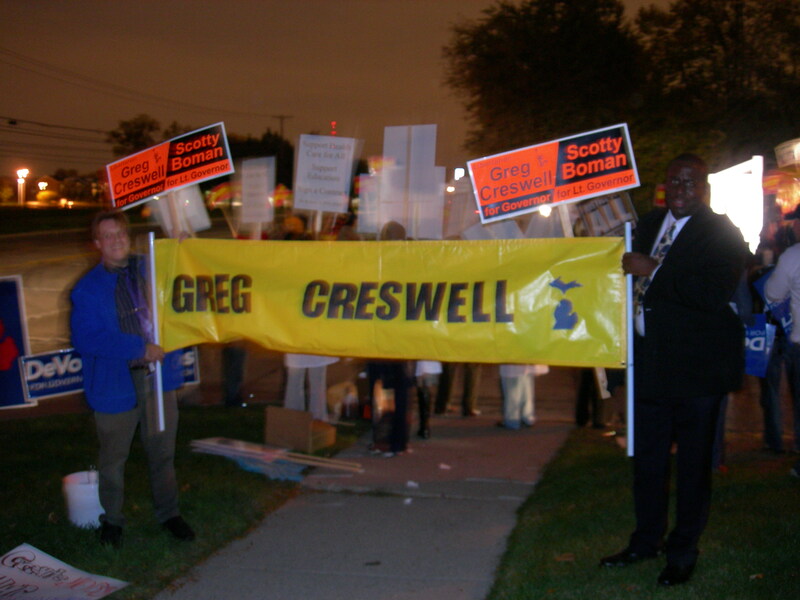 I was a Detroit coordinator in 2006 for M.C.R.I. proposal #2 vote Yes! and have been a vocal advocate of liberty. I helped to get proposal #2 M.C.R.I. 2006 on the ballot. I helped to make Michigan a “Shall Issue” state. The reason I wish to represent Michigan’s First District in the Michigan House of Representatives is to help from within to defend liberty and to defeat political oppression. We-Libertarians-defend individual rights and the free market. Freedom needs external and internal support to defeat government incursions. Michigan must eliminate tax burdens, as well as burdensome regulations, in order to compete with other states in attracting business investment. Only when we compete through providing greater liberties and freedom shall we develop a strong state economy. Put simply, Michigan must get out of the way of business. Further, any consequential loss of revenue shall be offset by the elimination of state interest in wasteful programs and the outrageous pursuit of non-violent criminals who have not harmed another citizen or another citizen’s property. We must limit our government to grow our economy and our individual freedoms. Unlike Republicans and Democrats, Libertarians understand that freedom is the key to Michigan’s future. I will implement these solutions, freeing private businessmen to build a strong economy. And so, I ask for your vote in the Libertarian Primary Election on August 8th, for the future of Michigan. Here are a few of my objectives if I win. 1) Use Free Market Solutions To Develop Michigan’s Urban Centers. 2) Repeal Michigan’s “No Fault” insurance law. 3) Stop The Current Waste Of Money On Non-Violent Crime. 4) Stop Funding Of Most Government Programs Because They Are Wasteful. 5) Create a “Tax me more” fund for people who believe in more taxes, then remove taxes on private property, fuel and the internet. 6) Defend individual rights and the free market. 7) Reduce the pay, benefits, perks, staff size etc of elected officials. 8) Use ballot access laws to effectively bring about term limits for all members in Congress, 3 terms/House and 2 terms/Senate. States can’t stop candidates from seeking more terms, but they can deny them ballot listings. 9) Install in the constitution square grids (of equal population size only) for all state legislative boundaries. 10) Make Michigan a “Constitutional carry” state.